We are pleased to share this guest submission, the first of three finalists in the NAMC blog contest. We thank Dr. Elkind for his participation, and hope you enjoy this thoughtful article on early childhood education. “Play is the Child’s Work” is perhaps Maria Montessori’s best-known aphorism. Unfortunately, this phrase is often misinterpreted to suggest that work and play are identical and that children should be working, not playing. But that is really not what Dr. Montessori had in mind. Montessori wrote, for example, that children might well use their imagination to think about a distant country like America, rather than a fairy tale land. In so doing she recognized that imagination or play was not the same as work. 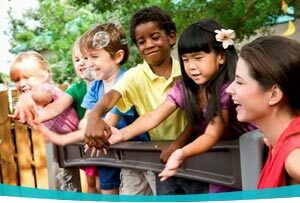 Montessori also appreciated that learning is most effective when play and work are united in a single activity. To appreciate this insight, we need to be clear about the difference between play and work. In the broadest sense, play is always a transformation of reality in the service of the self. Young infants, for example, transform every object they can grasp into an object to be sucked. Older children transform a stick and a piece of cloth into a doll or a piece of wood into a boat that floats on a puddle. When playing a board game like checkers, chess or monopoly, the pieces of each game are transformed and given an importance they would never attain outside of the game. It is important to distinguish transformations of reality from creativity. Creativity always involves a transformation of reality, but not all transformations of reality are creative. In board games and sports, for example, the players adopt pre-established, conventional transformations. Creativity always involves original transformations. In contrast to play, work is always a transformation of the self in the service of reality. When a child learns to use a spoon to feed himself or herself, this is an adaptation to the demands of society. Learning to wash and dress oneself are other examples of work. Social skills such as listening to, and following instructions, are other ways in which the child transforms the self in the service of adapting to society. Acquiring the skills of reading, writing and arithmetic are social adaptations. In the same way, moral behaviors such as telling the truth and not taking things which don’t belong to you are other examples of work, of transforming ourselves to meet the demands of the larger society. * Form Boards are shape matching activities. David Elkind PhD is the chief scientific advisor for Just Ask Baby, an online video membership service, which gives parents a unique baby’s eye view on how to effectively nurture their infant’s full developmental potential. 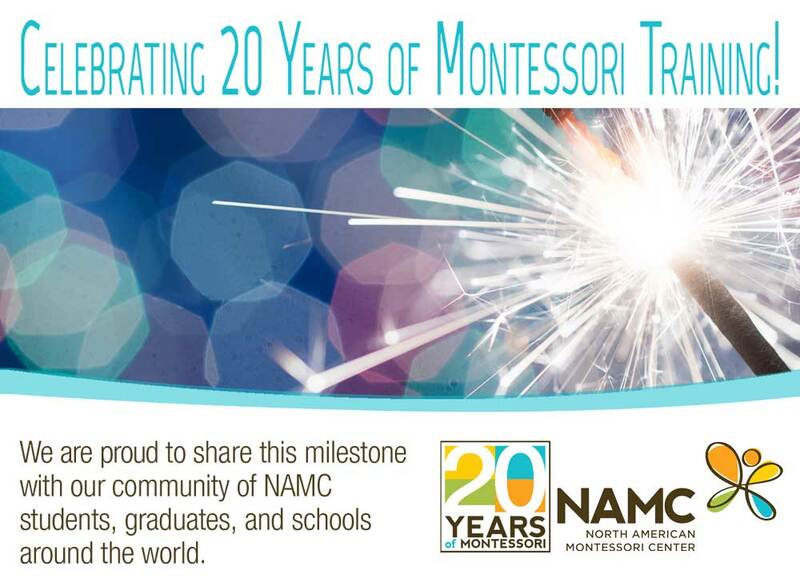 © North American Montessori Center - originally posted in its entirety at Montessori Teacher Training on Tuesday, May 12, 2009.